In 9th-century China, Nie Yinniang is a young woman who, having been abducted in childhood from a decorated general, has been raised by a nun and trained in the martial arts. After 13 years of exile, she is returned to the land of her birth as an exceptional assassin, with orders to kill a man who was once her betrothed. She must confront her parents, her memories and her long-repressed feelings and make a choice to either sacrifice the man she loves or break forever with the sacred way of the righteous assassins. Click To Receive Weekly Film Reviews, News & Events! Released in 2015, The Assassin was Taiwanese director, Hou Hsiao-hsien’s, first film in eight years. The director was inspired by the 9th-century martial arts story, Nie Yinniang, by Pei Xing. While The Assassin is a martial arts film, do not watch expecting flying daggers and crouching tigers. This is a martial arts movie of a wholly different kind. It moves slowly and mysteriously, giving its audience time to appreciate each visually stunning scene. There are, of course, action sequences in The Assassin. However, the balletic fight scenes are surprisingly still. Yinniang (superbly portrayed by Qi Shu) is utterly mesmerizing. She moves with the grace of a bird and the stealth of a wraith. 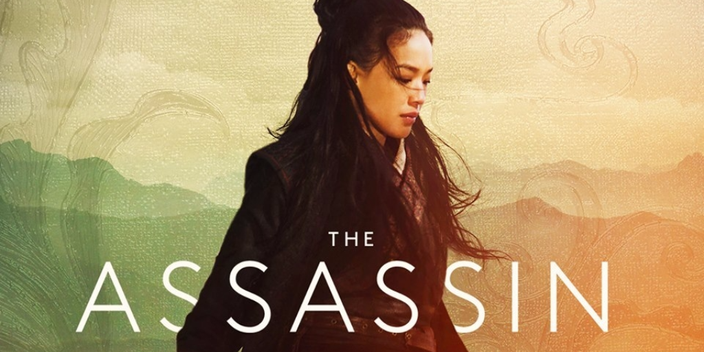 The Assassin rejects traditional narrative paths in favour of atmosphere and allusion. This can, at times, feel mystifying (and even frustrating). Hou has spoken about the fact that he does not make films to please an audience. He makes movies that mean something to him - we are just along for the ride. However, if you allow The Assassin to envelop you, this movie is far from a grueling journey. For Hou has created a beautiful cinematic experience that more than rewards your patience. Have you seen The Assassin? If so, what did you think of this movie? I would love to know. Leave me a comment in the box below!